This is what I say to myself each morning. I imagine myself expressing love through my thoughts, words, actions, creations and vibrations. I also offer this love to myself in the same way….as much as I can…..And there lies one of our great learnings I think. As we share our inspirations and get inspired by others with the in-breath, we berate ourselves and others for one thing or another on the out-breath. We happily offer advice with compassion, forgiveness and love. But when it comes to ourselves? we find it harder to demonstrated the same level of patient kindness and understanding. We are our own greatest critics! All of this judgement is just an expression of the persona I am wearing. My persona judges itself and everyone else based on my perceptions of realty built up from my genes, my memories and social and societal expectations. It judges in a vain attempt to understand and define itself, and so does every other human persona around me ….and so on and on the wheel of life turns, feeding on itself. How to get out of this matrix? Well, that’s easy: you die. It’s nature’s way to re-start a new record rather than get stuck in the same groove eternally. But you’ll probably only choose to come back into form and have to start over. So the answer is not to get out of the matrix but instead to be the Avatar master of it. Because I am not my persona, and neither are you. It is the mask we chose, (definition of persona here) before we were born…just as we chose our parents, our country and the colour of our skin. We chose our ‘nature’ and the environment we would be nurtured (or not) in…and we did all this choosing before we came here to this (seemingly) physical existence. And just as we can not change the colour of our eyes (without technological assistance), we can not change (although we can transmute) the core of the persona we came in with. What we can do is raise our level of consciousness and better manage the parts of our persona that we feel need managing. Self mastery, the first step of all students of esoteric knowledge, is understanding the persona and assisting it in any way we can, just like we might bandage a weak wrist…but we can’t deny the sore wrist is there. That just gives resistance (and thus energy/power…and more pain) to what we are trying to ignore! And we can also support the parts of the persona that assist us in our growth. We can nurture them and enhance them just like exercising a muscle that we want to build up. I am responsible for the management of my persona, for its words and thoughts and actions, but I am not my persona. Just as I am responsible for my young child’s (anti)social behaviours although he/she is not me or even ‘mine’ at all. Lao Tzu said “Watch your thoughts; they become words. Watch your words; they become actions. Watch your actions; they become habits. Watch your habits; they become character. Watch your character; it becomes your destiny.” He was teaching us that our natural tendencies can get us in to trouble over time, if we allow them to be unmanaged. Every ripple of energy we send out, whether it is managed or not, returns to us and builds up the experience and thus perceptions of our life. Our persona feeds our persona and makes manifest this persona’s world view. So we may as well master ourselves. Being truly accepting and loving of others requires full acceptance and love of ourself…not trying to change or deny parts of ourself. But truly offering unconditional love and acceptance …to me! So that I have the feeling of surrendering and allowing…no longer having to defend and protect myself (and therefor reinforcing all the things I want to change). Instead I am allowed to relax. The next step is to release the illusion of the persona itself. Our persona/identities are all just illusions of energy: interacting, reacting, triggering and being triggered. You can spend years analysing the illusion of yourself if you wish. It can be very insightful to look into the patterns of what triggers you emotionally and why. As long as you then move on from the maze of this analysis of analysis. And just think, without this energy we call ‘persona’, where would humanity be? Imagine a world without personalities. Imagine we were all bodies and brains but had no quirks and tendencies? and what would be the point? How could we possibly grow if we were not all energetically affecting each other within all the fun and games of this play. This is what Dante and Shakespeare (Saint Germain) meant by the Divine Comedy and all the world being a stage..
And thus…who are we then, to judge another? …that is the question 🙂 To take arms against a sea of troubles? ie: give it back…and then some! Or simply smile with the divine perfection of the play(ground) we find ourselves in. I am truly the silent witness that watches this divine comedy all from within, and knows me inside out. Without judgement and without interference. I am the spirit moving through the persona. The BEing from within this mind/body, watching the day to day through the lens of my persona. Just as this silent state of consciousness is simultaneously watching/experiencing through the lens of everyone and everything around me. Observing this play but with no mirth or disdain. Simply watching. For us to wake up from being a puppet on auto-pilot in the wild performance we call ‘Life’. To grow in awareness and finally see the set and the lighting and the big, red curtain. And this knowledge: that I AM that which is behind and impregnated within this mind/body that is called “Francine”, allows me to relax. More and more I allow that silent presence to no longer remain in silence. But rather to come forward and reveal itself from where it has always resided in full view. And so my persona can stop it’s manic cycle of defending and protecting itself. Of trying to understand and define itself. I can simply allow my Higher Self/expression of what I truly am, to flow through the persona that I had always identified with, but never truly was. It was simply my beautiful mask, chosen by me for a very good reason. And I am grateful for this mind and this body and this personality for all that it has allowed me to do, see, experience and learn. This essentially is what we mean by ‘Awakening’ and entering into a ‘5th dimensional realty’. We don’t actually float off into a New Earth. We become the New Earth. We embody the 5D energies, not by ignoring our 3D realties, but rather by allowing the Absolute to flow through them. And not just the 5D, but multi-dimensions. For once you allow this Light-body to seep into all aspects of you, you have more and more access to ALL. For it is in fact the Universal Life Force within ALL and thus knows All, So that the very persona that we were trying to overcome, becomes the very vehicle through which we express our divinity. The point is to uniquely and creatively express the light we have been absorbing and embodying…in a physical way. To ground it. This is ‘being of service’ in this physical manifestation. And surprisingly, in this ‘space’ of 3D existence that offered us the illusion of separation and subdivision, we find redemption, enlightenment and finally, liberation. When we become ‘of service,’ we are One and there is no separation, and therefor judgment of anything within Unity is irrelevant. You are then in the stream of Divine will rather than persona/ego will and there is no need to manage yourself at all. We turn from being actors on the stage to being the ushers on the other side of the curtain/veil, holding the torch and lighting the way to the exits. And we knew this before we came! And in this context, I see that I made some very good choices for my 3D self after all 🙂 and I love her and forgive her. So, I had a dream, clear as day. It is a plain and simple one. There was a piece of unbleached calico cloth all folded neatly with a sash piled loosely on top. It was a long piece of material with a slit in the middle. I put my head through the slit and the material fell down the front and back of my body. Then I wrapped the gold sash around my waist to pull the material in around my whole body. It feels important somehow but I don’t know what it means. I felt watched, in silence. The dressing was ritualistic, with reverence. Mary Magdalene -how, where and when did we get it so wrong? Been encouraged to read and study the life, the surrounding story/ message and the woman herself: Mary Magdalene…for my own healing and then to assist others with the teachings and healing energy when ready. 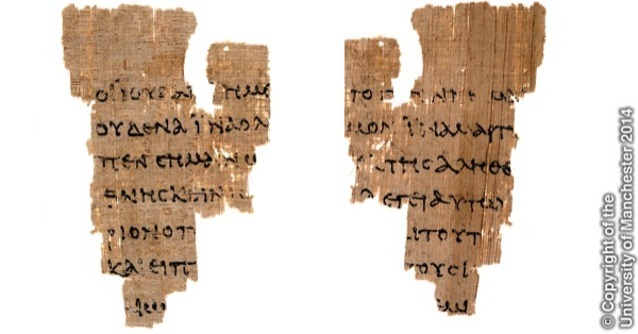 The Gospel of Mary is a fragmented document (missing pages and passages) dated to the early 5th Century and is currently housed in the Museum of Berlin (within the “Berlin Papyrus”) since 1896. It originally showed up in an antique store in Akhmin, Egypt. It is written in Sahidic Coptic language (an ancient Egyptian language spoken up to the 17th century). 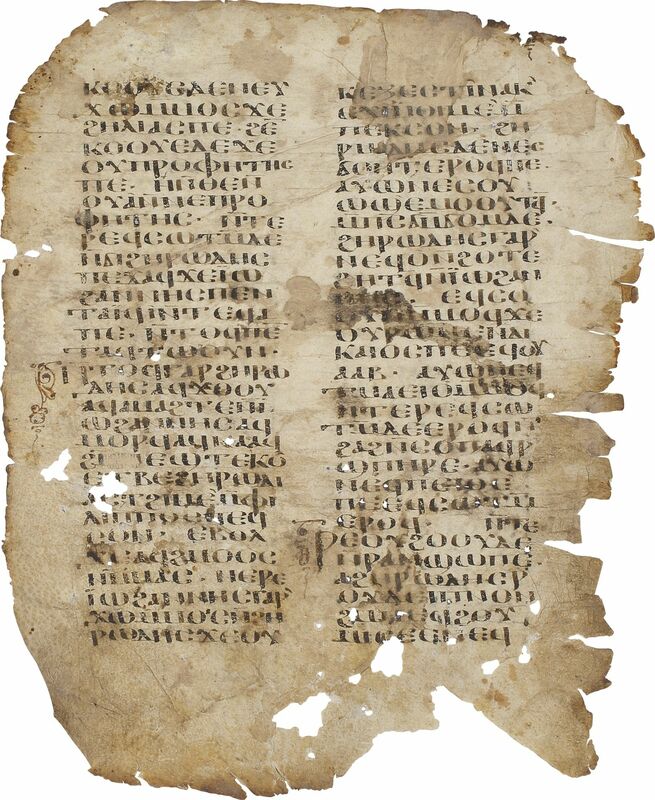 The gospel of Mary was based on an earlier text dating from the early 3rd century. There are remnants of this earlier text (the Rylands Papyrus 463). However these are all copies and the very first Gospel of Mary was most likely written about 150 (estimated by W.C Till). To be frank, people’s own prejudices have affected what we can learn about Mary and each time texts are copied, we can assume they may have been altered in some way to reflect the teachings of those that wanted a ‘copy’ made. Why was it hidden? Why is it not part of the New Testament? Well, that’s a long and complicated story. It was in 325 in Nicaea (Eastern Roman Empire/Byzantine era/ modernTurkey) that Emperor Constantine decided that the Roman Empire should be Christian (Theodosius I proclaims Christianity as the sole religion of the Roman Empire in 380 AD) and brought all the representatives of the different Christian factions together to nut out a common belief system/declaration) in what is known as the Council of Nicaea (read the beginning part of the excellent book by Richard Fidler “Ghost Empire’ 2017) to bring this his-story to life). There was a massive discussion and much disagreement about who and what Jesus was/is…the son of God or man? Is he equal to God or below ‘Him’? And therefor, what was he made of? They came up with an ingenious idea of the Holy Trinity! You can hear (a later version through Latin and then English) of the Nicaean creed recited by the congregation during any Catholic mass to hear the resulting doctrine: He was ‘begotten, not made and is One with the Father’. Anyone that disagreed, even some pretty powerful early ‘priests’ were exiled or worse. The point of sharing all this is to impress upon the reader how deliberate was the control of belief within the Church from it’s early beginnings. Men sat in council to decide what was and what was not acceptable to postulate to believers for the purposes of the Church ….and have pretty much continued doing this since 325 (up to the present debacle around Pedophilia). The idea of Jesus, the Son of God was a tightly controlled/censored concept that would be used to teach (preach) the doctrines and support the Church. The reader may already see how the Dead Sea Scrolls gospels and the Mary Magdalene gospel would not at all fit within this doctrine. Catholics know this as ‘catechism’ and for others, doctrine means the codes of beliefs or a body of instructions, principles or positions, as the essence of teachings in a given branch of knowledge or belief system and it is where we get the word ‘indoctrination’. Some gospels were chosen (and possibly altered or at least edited) and others were simply left out and destroyed. Luckily, some of these were hidden and found again in 1945 at Qumram (the area of the Essene ‘University’ or ‘library’ about 20km East of Jerusalem) as what is known as The Dead Sea Scrolls. The Gospel of Thomas is from this cache. The Essenes practiced asceticism, piety, voluntary poverty and daily ritual immersion in water, and some groups practiced celibacy. Anyone who has read or heard the New Testament will have read that Jesus was the Son of God and was a loving man who was a shepherd of lost souls and helper and healer to all. He welcomed everyone and helped everyone. He taught love for all and was gentle and kind and died “for our sins” so that we would be ‘saved’ and redeemed through God’s glory. In essence, we are taught that if we believe in Jesus, we will be saved (translated that through the Church, you will be saved). The Nicaean creed says it all really. 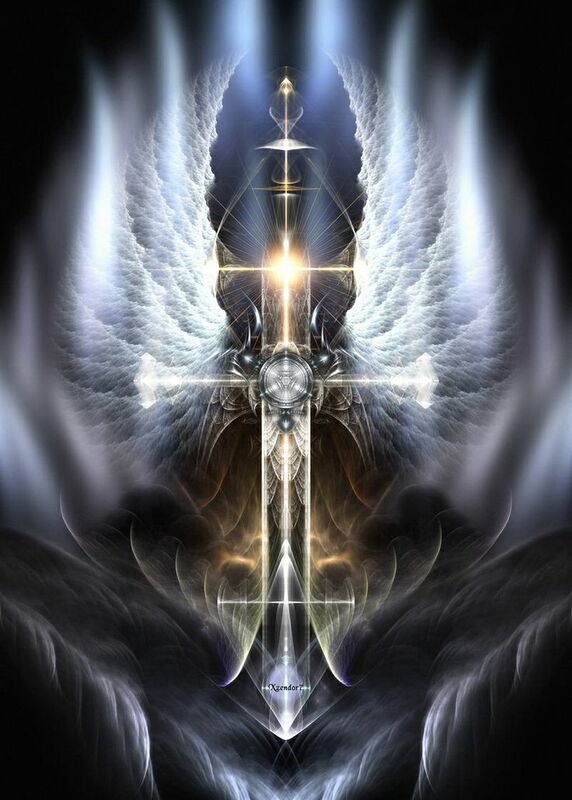 What he was NOT (according to the Bible) was a metaphysical teacher of ascension and spiritual Oneness. The gospels that were hidden and later found teach a very different message: The Divine is ti be found within you because we are created in the image of God. And so we come to Mary Magdalene. Where does she fit in to all of this? Well, simply stop and ask most people what comes to mind when you think of Mary Magdalene and you’ll see the problem. Mary Magdalene is the only woman mentioned by name in all four texts and her name, in all but one instance, is the first listed when there is mention of the women present at the event. She is one of the three, along with John the apostle and Mother Mary, who waits at the foot of the cross during Christ’s crucifixion. Indeed, she is mentioned no less than 12 times in the New Testament (let alone the hidden gospels)—making her the second most mentioned woman, after Mother Mary. Most references are found in the Crucifixion and empty tomb narratives, where she is portrayed as a loyal disciple at the foot of the cross and as one of the first witnesses to the Resurrection. What else do we know about her? Unlike other women in the Bible, Mary of Magdala is not identified in relation to another person; she is not anyone’s mother, wife, or sister. Instead, she is called Mary of Magdala, a centre of commercial fishing on the northwest bank of the Sea of Galilee.She was wealthy and she left her home to follow Jesus. Perhaps she financially helped to support Jesus’ ministry. These female followers of Jesus were faithful and remained loyal when others had not. The four New Testament gospels agree: Mary Magdalene was faithful until the end. In Matthew’s version (28:1-10) Mary Magdalene and “the other Mary” first learn of Jesus’ Resurrection from an angel at the tomb, who tells them to “go quickly and tell his disciples.” As they leave they are met by Jesus, who also instructs them to spread the Good News to the others. Likewise in Mark’s account (16:1-8) Mary Magdalene is accompanied by Mary, the mother of James, and Salome to anoint Jesus’ body. But inside the empty tomb they find an angel who tells them Jesus has been raised from the dead. Again, Jesus first appears to Mary Magdalene, but when she tells the disciples, they do not believe her. Luke (24:1-12) says the three women are Mary Magdalene; Mary, the mother of James; and Joanna, and that they first find the stone rolled away and are told by two men “in dazzling clothes” that Jesus has risen from the dead. The other disciples do not believe their “idle tale,” and Peter runs to the tomb to see for himself the burial cloths. In John’s Resurrection account (20:1-18) Mary Magdalene goes to the tomb alone, sees that the stone has been rolled away, and runs to get Peter. What follows are parallel stories: Verses 3-10 describe how Peter and the disciple Jesus loved witness the burial cloths, but “they did not understand”; while verses 10-18 tell the story of Jesus’ appearance to Mary of Magdala. In other texts, the ones not included in the Canonical gospels, we are given a broader understanding of Mary Magdalene who received teachings from Jesus that were not shared with anyone else, not even his disciples. So why do some still think Mary Magdalene a prostitute? Well, it comes back to doctrine and men in positions of power making decisions of belief on behalf of their flock …or simply doing what we all do…use our own perspectives and beliefs to filter how we perceive people and events, even historical ones. Mary Magdalene has been confused with several other women in the Bible, most significantly—and ultimately problematically—with the unnamed sinner in Chapter 7 of Luke. In that story, a woman bathes Jesus’ feet with her tears, anoints them with ointment from her alabaster jar, and dries them with her hair. When the Pharisees object, noting that she is a known sinner, Jesus admonishes them and forgives her “because she has shown great love” (Luke 7:47). Nowhere does it say that this woman was a prostitute, and nowhere is she identified as Mary of Magdala. The anointing also confused many as Mary Of Magdela brings ointment to the tomb to anoint the body and so Mary of Bethany (Martha and Lazurus’ sister) who anoints the feet of Jesus. Additionally, the casting out of demons act, instead of imagining how cleansed she was afterwards, has also influenced Mary’s reputation as people chose to focus on the seven! demons themselves. The longer and more complex story is that of the role of men in the Catholic Church and the treatment of women. Even the disciples didn’t like the idea of Mary being close to Jesus and most likely the decline of Mary of Magdala’s reputation began very soon after her death. Then, on Sept. 14, 1591, when Pope Gregory the Great gave a homily in Rome that pronounced that Mary Magdalene, Luke’s unnamed sinner, and Mary of Bethany were, indeed, the same person. This was actually repealed almost 400 hundred years later in 1969 but nobody paid much attention and even today, almost 50 years on,it’s generally unknown that Mary Magdalene is a saint. 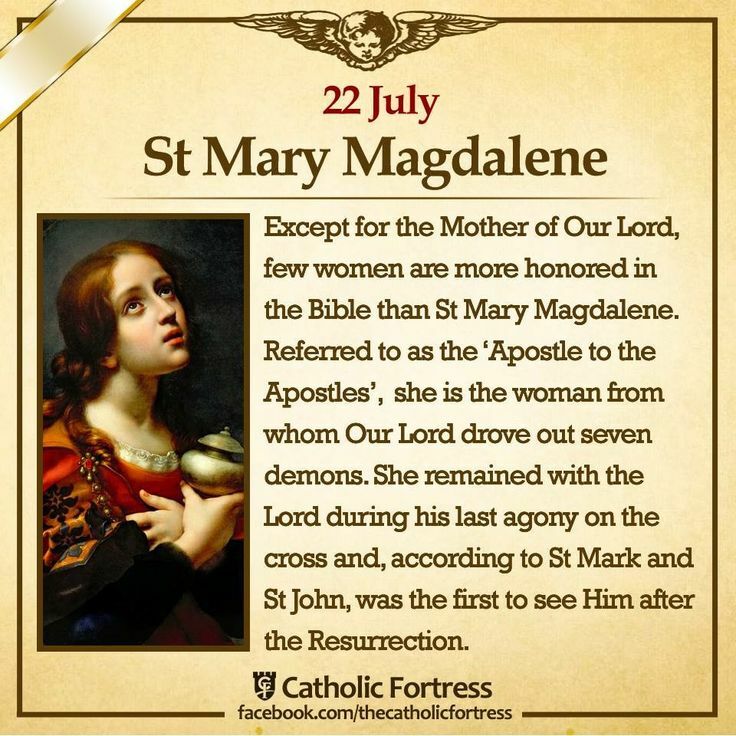 Mary Magdalene’s feast day is on 22 July. So, had a night’s sleep after a bit chat with Herve (who told me his love is unconditional…and actually it always has been) and woke up with some more clarity. It’s all well and good to recognise a belief you hold but I must work through this to the end. You see, this is actually not new…I think we all know our issues as they are always going around and round in our minds. But there is a big difference to the records being played in your head and responding, robot-like, to everything around you, and actually shifting it out so you no longer get triggered. So, recognising that I am addicted to the idea of being ‘good’ (and good for me means being kind, patient, compassionate, forgiving, understanding, friendly to everyone, understanding, generous, tolerant of all differences, helpful, calm and ….quiet) so that when I catch myself, or worse somebody else catches me (that’s where the aversion to criticism comes in), I have a hard time! I feel shame, guilt and embarrassment. To help myself feel less of these emotions, I usually shift the blame to someone else…the person who caught me out or the situation itself…whatever. 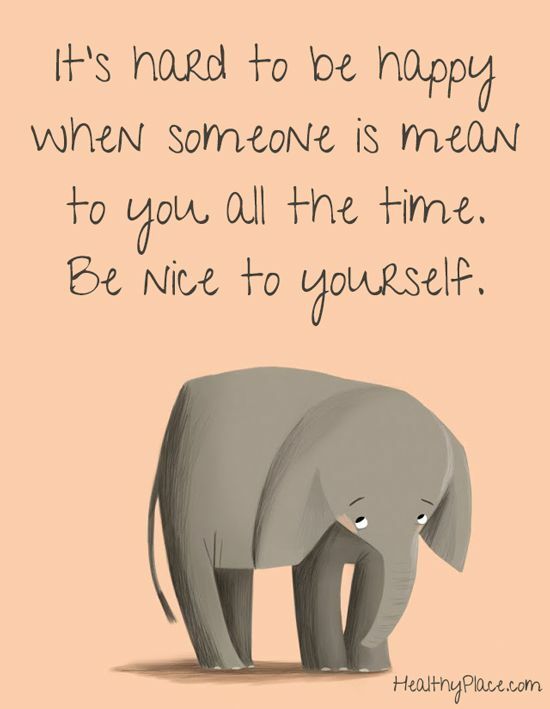 But mostly, I am angry and disappointed at myself and blame creates even more guilt and shame…I’m my own worst critic. I am far harsher with myself than with anyone else. Certainly I do not demonstrate to myself kindness, forgiveness, understanding, patience, tolerance, compassion and generosity! My love for myself has been conditional. The beauty of healing and understanding the Hermetic laws (everything is mental) is the knowledge that all of this is in the mind (conscious and subconscious). All of it! I’m here to experience all of this and use it to expand. It seems all real but it’s all play and creative imagination. I need merely reprogram my biocomputer through suggestion to the subconscious part of my mind with the assistance of the Superconsciousness (invoking my Higher Self). I retrain my mind to accept that yes, I prefer to be a good person, with all that that entails, but I’m not addicted to it. When I was addicted to being good, I would HAVE TO be good, no matter what! And when I was, I didn’t acknowledge it (maybe just short term) and was mostly indifferent to myself or feeling relief. And if I was NOT good? well…blame, shame and pain! Now I decide to make a conscious choice. A preference. I also choose to remove the word good, as it has too many childish connotations, and simply reprogram my mind with the suggestions (visualisations and phrases) that I am loving and loved. I am Loving and I am loved. 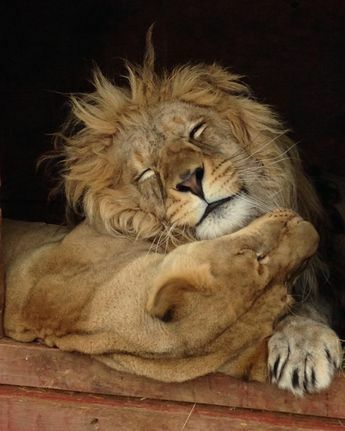 I give love and I receive love. Each day, in every way, I love that I am growing and expanding in love. This means that when I am demonstrating the behaviours of being loving (listed above under ‘good’), I feel that life is great, things are flowing in perfect harmony and order, and I feel satisfied. Calm. Strong. Grateful. I am also subject to the ideas, beliefs, emotions and perceptions of others and situations. I can learn to take a breath, look from the Hanged Man’s point of view and give myself a bit of slack…just swing and let the life-force flow through me. I am also more able to apologise as I no longer have to defend my ‘goodness’. Being good is just a preference, I’m not addicted to the idea anymore and it’s OK to express all of myself. I need to be true and sincere to myself as well as others. And if I am criticised? (the trigger of this whole exploration), well, that is the other person’s perception (from their own ‘picture of life’) and I can’t control that or even understand it as who the hell knows what’s going on underneath their cover…I’m having enough trouble sorting out my own! But I can recognise that my own behaviour may or may not have been appropriate and either make amends or make a conscious (not threatened/fearful/victimised) choice about my behaviour or even my relationship with that person. In truth, all I am learning is to better understand myself in order to greater love myself. I am learning to give love and receive love …to and from myself. And that Love is Unconditional. My heart is full of gratitude that I have Spirit, especially Mary Magdalene, to help me unpack and come to greater AUTHENTIC love of self. A real embodiment of ALL, not judged, not tainted with concepts of sin or any form of ‘good’ or ‘bad’. Part 1: You’ve been a naughty girl! So I’m reading a marvellous book: The Handbook of Higher Consciousness. my nervous system structure and the feedback from my body and senses and auric field. So, I had a breakthrough from an incident with Herve. I was crapping on trying to share a story about an abused woman but didn’t know how to describe her to him. To me, that was not the interesting part as I wanted to share the story heard, but I was trying to describe what I knew about her (not much) and was getting annoyed that Herve didn’t just know who it was from my little descriptions (admittedly some factual errors). I was getting so frustrated at getting sidetracked with this part that I started saying he should know who she was! I was implying this because he loves tennis and follows the game..I said I didn’t know he was sexist and only followed male tennis stars. He then got annoyed. Stopped and demanded an apology. He was “sick of’ being treated like he was sexist. So I did apologise…badly and then stopped talking to him for 2 days while I processed what the hell was going on inside me to have this reaction! Usual crap: I can’t handle criticism. It means I have stuffed up and am not perfect. I’m addicted to being right! I was always treated like an idiot who knew nothing growing up as the youngest girl of 4 sibling. But ….on my walk just now I also realised something else…I didn’t like him thinking I was naughty and not a ‘nice girl’. I hold a lot of stake on being nice, kind, good. But here was my husband demanding I apologise for being not nice at all! I was humiliated! embarrassed as I was not nice, not good…and therefor not worthy of love. Only good girls get cuddled and held and smiled at and told they are good. That is the conclusion my little girl mind came to from my experiences. I must be good to be loved. This is a pretty intense discovery for someone who walks in the Light. A nice gentle one in the day. Felt the energies in the heart and head. Much deeper hurts about criticism, humiliation being played out for me to see, understand and rise above (tried working through intellectually but simply got myself more entangled in all the useless thinking. Letting go of the ego layer by layer. Need to atone. Thinking only about my side of the story. Not taking responsibility. So hard to say sorry! But I am. Understood. I spent this day on a wild treasure hunt. Watching lots of videos and opening books at random pages and reading random things on FB. Lots about Horus and the Blue Avian beings and the Essenes and Yeshua and Mary Magdalene. Lots of interesting connections and overlaps and discoveries. The culmination was when I was watching a vid of Mary M with tabs open on the ACE Edgar Case library, the Pistis Sophia Essene gospel when Mark, a person I channeled for 2 months ago suddenly sent me a message saying “Hello Francine, I though you might need some encouragement! I had channeled Mary Magdalene for him!! I bought the book her suggested of the Mary Magdalene Gospel and the O manuscript and thought how cool it was that Spirit confirmed my path so beautifully. Have organised a group meet up in Jan to practice the AR. I have brought through so many channeled messages lately about the Divine Masculine energies! Feeling the power and strength of masculinity without the need for patriarchy. I see both men and women (as we each have both elements within us) becoming empowered through the qualities of form, organisation, structure and action which helps to balance and support (into manifestation) the divine feminine energies of compassion, wisdom, beauty, gentleness, acceptance, and intuition. And it’s about time! enough of this disempowerment and feeling resentment and fear of each other! Enough suicides and violence! It feels like we are (energetically speaking) finally learning to come together as One, releasing our wounds and finally really seeing ourselves and each other without blinkers on…but rather with awe and deep respect. Honouring the Divinity within ourselves and one another. 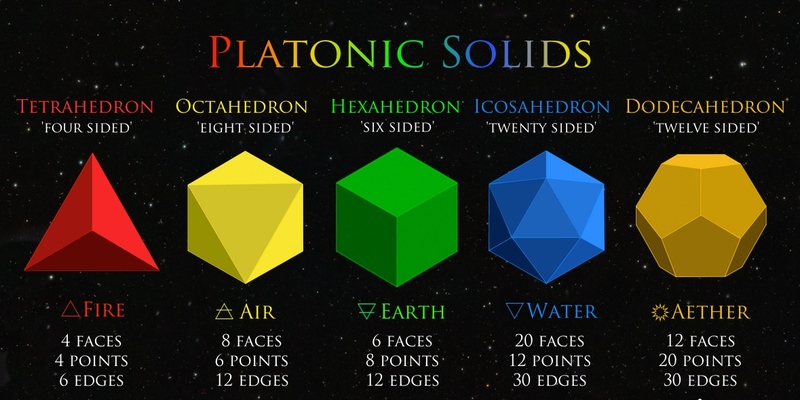 Why “platonic“? – Plato (ancient Greek philosopher) identified them although there is evidence the ancient Egyptians worked with at least 3 of them (for sound healing especially).